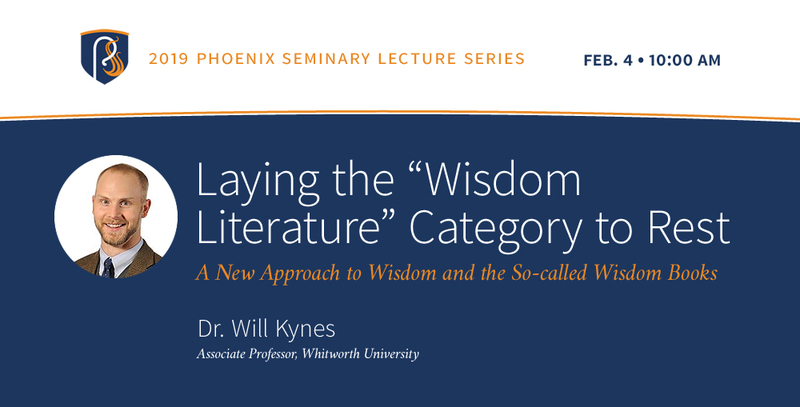 We’re excited to announce that Dr. Will Kynes will be giving a lecture in the Chapel at Phoenix Seminary on his latest OUP monograph: An Obituary for “Wisdom Literature”: The Birth, Death, and Intertextual Reintegration of a Biblical Corpus. Students and the general public in and around the Phoenix area are invited to attend the lecture on February 4th at 10:00 a.m. No registration required. We hope to see you there.